N.R. 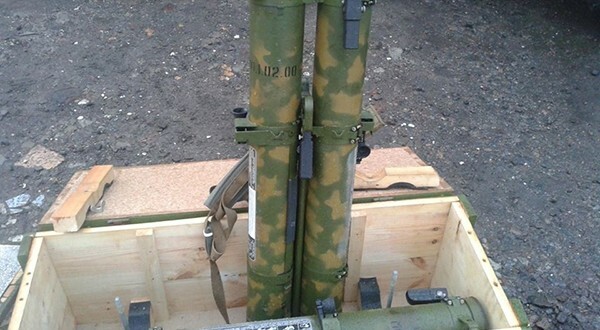 Jenzen-Jones Armament Research Services (ARES) was provided earlier today with images showing the remnants of several artillery rockets in Slavyansk, Ukraine. These images show the nose cones and cargo sections belonging to 220 mm 9M27K series cluster munitions. Remains of 9M27K type rockets have previously been photographed in Syria, as identified by ARES here.